Sure, we’ve all used Post-Its, and loved them- but today I’m sharing a way to use Post-Its that you might not have tried before! Welcome to the April edition of the Bright Ideas! As always, this link-up is meant to help you discover some amazingly simple, absolutely free ideas… and some awesome new blogs, too! Two years ago, my students were learning the names of the continents, and some were really struggling. Our map didn’t make it easy to read the continent names, so I made labels using Super Sticky Post-It Notes. To practice identifying continents, we simply mixed up the Post-It notes and I challenged students to put them on correctly as quickly as they could. We called it the Post-It Place Race- and the idea could work for identifying continents, countries, states, etc. ordering the days of the week, numbers, story sequences, etc. and… anything else you can think of! This year I’m really enjoying using this strategy on an anchor chart- so it can hang in our room as a reference, but still be used for practice at a center, during whole group instruction/ review, or with small groups who need extra reinforcement of a concept. I do recommend the Super Sticky notes because they tend to hold up a little better to repeated placing and removal : ) but other than that, the possibilities for this simple teaching strategy are endless! I’d love to hear your ideas for using Post-It Place Races in your classroom! Make sure you browse the rest of the Bright Ideas Link Up below, too! 150 bloggers are sharing helpful ideas, labeled by title and grade level to help you find the perfect ones for YOUR classroom. Read, pin, and get inspired for the home stretch! I am so excited to continue celebrating with you tonight! This past week I’ve had the pleasure of trying out some beauty products from Perfectly Posh. Read on to find out how YOU can win free beauty products! Everything is under $25 and when you buy 5, you get the 6th FREE! The thing is, I’m a veeery low-maintenance beauty girl, and probably should take better care of my skin, so I jumped at the chance to try out some products- and Shannon was happy to oblige. She sent me the cutest bag in the mail with lots of samples inside! Even the packing peanuts are environmentally friendly! Can you believe it? But it made my face feel so soft, and my face didn’t feel greasy or oily at all, even in my trouble spots. I know if I used this even once a week, it would really help keep my face clear! It did make my face kind of red at first, but my face reddens really easily (and the package warned that it can tingle or burn a little the first few times). I moisturized with some creamy Brazilian Bombshell body butter, though, and it felt a lot better! My favorite, though? A few hours ago I used the Daily Grind Coffee Scrub on my hands. I don’t love to drink coffee, but I always like the smell- and I could tell this had actual coffee beans in it! Just a couple of minutes of scrubbing, and my skin felt so soft! I smoothed some Big Fat Yummy Hand Crème on after the scrub, and I will absolutely be buying some of this stuff! It feels light and whipped as you smooth it on, but a little goes a long way. The Lil’ Snarky scent is light and sweet, and unlike a lot of hand creams, this kept my hands soft without making them feel greasy and gross. My hands have been so dry this winter, and the combination of the Daily Grind scrub and the Lil’ Snarky Hand Crème is making them feel amazing, even hours later. I also got a chance to try the Big Fat Yummy Lips gloss in Raspberry Bang-Bang, and I just love the tint of it! My usual make-up routine is moisturizer, quick sweep of mineral powder foundation, a dash of bright eyeshadow, and mascara if I’m on time (just being honest here). This will be the perfect way to add a little color to my lips without it being “too much” or too intense for my subtle make-up- but still has a little menthol to make them puffy and kissable. My husband noticed right away that I had something different on my lips! Basically, I came away from my time sampling Perfectly Posh wanting to try and buy more! The products I used were high-quality and made my night a little happier- and we all deserve that sometimes! Today, Shannon and I are giving you a chance to win the Apple of my Eye Lip Scrub and Bombinator Set—the perfect Teacher Appreciation gift that teachers will actually enjoy. Sugar lip scrub that smells (and tastes!) like apples, plus a fizzing Bombinator that pretty much makes your bathtub a relaxing oasis. I know I get very, very tired of apple-shaped things that I can’t really use, but this nods to “an apple for the teacher” while also giving them some much-needed relaxation. Perfect, right? Enter below in the Rafflecopter and I’ll pick a winner this weekend! Want to try some of these products yourself? I highly, highly recommend Shannon Peter! She was easy to communicate with, sent things fast, and even included personal touches like a thank you note and an email to check in and see how I was enjoying everything. She really knows her products and she gave me perfect recommendations of what to try! If you live near her in Missouri, you may be able to meet up with her in person (and even host a party where you can try some products in person! ), or you can order Perfectly Posh products online through her at this site. Thanks, Shannon, for letting me try some of your amazing products! Guess what? Last week was my birthday- AND I hit 1000 followers on TpT, my best month ever, and I am veeery close to 100,000 pageviews on my blog. You all are AMAZING- and this is absolutely, definitely cause for celebration & thanks- so, today starts A Very Luckey Birthday Giveaway! Today’s prize is for LOCAL readers in and near Cincinnati- and it’s a celebration of two things I love- music and Pixar movies! I can remember when I first saw Toy Story. How could you NOT love a story like that? How could any kid not love to imagine their toys coming to life and having adventures? In my head, I can’t think of Toy Story without thinking of Randy Newman’s drawling You’ve Got a Friend in Me, and the second movie wouldn’t have made me cry like a baby if not for Sarah McLachlan’s haunting When She Loved Me. Similarly, when I think of The Incredibles, I can’t help but hear the score- jazzy, syncopated music with wailing trumpets and saxophones. It just wouldn’t have felt like the same movie without it! Looking back at Pixar’s films- Monsters Inc., Brave, Finding Nemo, Cars, Up, and more… well, let’s just say they’re amazing, and the music is absolutely a huge part of what made them so touching and entertaining. If you’ve never seen the Cincinnati Pops, they play in one of the most gorgeous buildings in the Midwest- Cincinnati Music Hall. The inside of the building features ornate details, sparkling chandeliers, and a beautiful, buzzing atmosphere. The Pops and the Cincinnati Symphony Orchestra do all kinds of amazing events, like last year’s outdoor concert Lumenocity, where they used the façade of the building as a giant projection screen for a light show timed to live music. They just announced they’ll be offering it again this summer, and I could not be more excited! So, if you’re within driving distance of Cincinnati and would consider making the trip for their shows this weekend (Friday evening, Saturday evening, or Sunday afternoon)… please enter below for a chance to win FOUR FREE TICKETS to Pixar in Concert with the Cincinnati Pops! A special thanks to the Cincinnati Pops for sponsoring this giveaway! 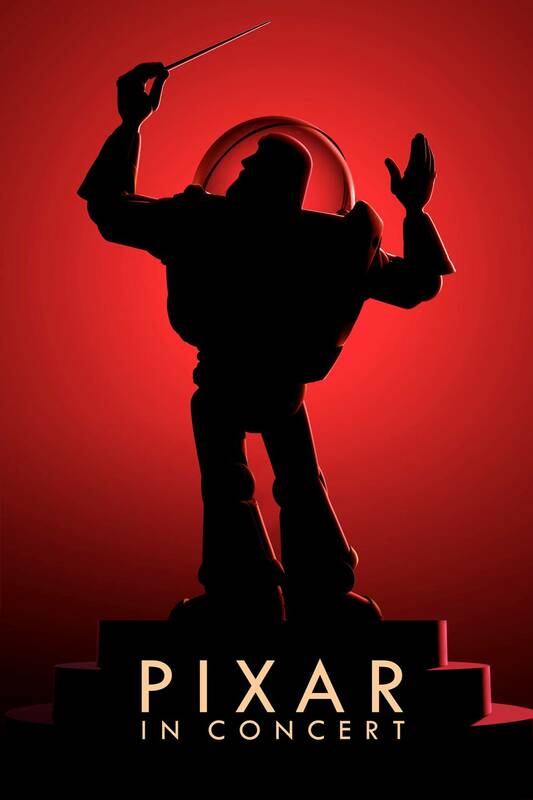 Tickets to The Cincinnati Pops Present: Pixar in Concert are on sale this week! Kids’ tickets are only $10, and CSO/ Pops are even offering special ticket deals for Reds Opening Day this week! You can purchase tickets here at their website or by calling 513.381.3300 to talk with ticket sales representatives.